Learn construction at home with the Home Remodeling and Repair training program from Penn Foster Career School International. Working on old homes and new... building and finishing rooms... remodeling kitchens and bathrooms... this can be your career, learning the latest techniques with Penn Foster at-home career training in Home Remodeling and Repair. 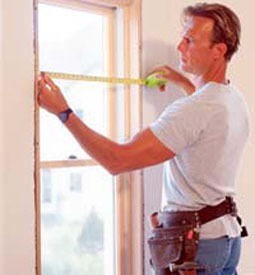 The Home Remodeling and Repair course was designed with your needs in mind. Like all our courses, it allows you to train for a new career from the comfort of your own home, without attending classes or quitting your job. Request information or enroll online and you could be working on your first lesson – and toward a new career – in a matter of minutes! Hands-on training so you can learn by doing. Books, lessons, learning aids and special supplements included at no additional cost. Access to Student Support Services on our website, including online examinations and account review. Earn your Career Diploma in as little as a year, or take longer if you wish. You'll learn how to read construction drawings, prepare a site, do estimates and contracts, troubleshoot home repair problems, and much more. We’ll send you FREE information – with absolutely no obligation!